KV55 is a tomb in the Valley of the Kings in Egypt. It was discovered by Edward R. Ayrton in 1907 while he was working in the Valley for Theodore M. Davis. It has long been speculated, as well as much-disputed, that the body found in this tomb was that of the famous Pharaoh Akhenaten, who moved the capital to Akhetaten. The results of genetic and other scientific tests published in February 2010 have confirmed that the person buried there was both the son of Amenhotep III as well as the father of Tutankhamun. Furthermore, the study established that the age of this person at the time of his death was consistent with that of Akhenaten's, thereby making it almost certain that it is Akhenaten's body. However, a growing body of work soon began to appear to dispute the assessment of the age of the mummy and the identification of KV55 as Akhenaten. Tomb KV5 is a subterranean, rock-cut tomb in the Valley of the Kings. It belonged to the sons of Ramesses II. 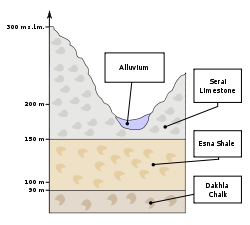 Though KV5 was partially excavated as early as 1825, its true extent was discovered in 1995 by Kent R. Weeks and his exploration team. 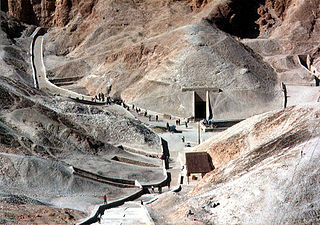 The tomb is now known to be the largest in the Valley of the Kings. 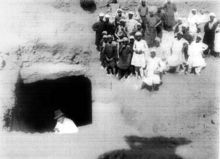 Weeks' discovery is widely considered the most dramatic in the valley since the discovery of the tomb of Tutankhamun in 1922. Tomb KV6 in Egypt's Valley of the Kings was the final resting place of the 20th-dynasty Pharaoh Ramesses IX. However, the archaeological evidence and the quality of decoration it contains indicates that the tomb was not finished in time for Ramesses's death but was hastily rushed through to completion, many corners being cut, following his demise. Tomb WV23, located at the end of the Western Valley of the Kings near modern-day Luxor, was the final resting place of Pharaoh Ay of the 18th Dynasty. Tomb KV19, located in a side branch of Egypt's Valley of the Kings, was intended as the burial place of Prince Ramesses Sethherkhepshef, better known as Pharaoh Ramesses VIII, but was later used for the burial of Prince Mentuherkhepshef instead, the son of Ramesses IX, who predeceased his father. Tomb KV2, found in the Valley of the Kings, is the tomb of Ramesses IV, and is located low down in the main valley, between KV7 and KV1. It has been open since antiquity and contains a large amount of graffiti. Tomb KV7 in the Valley of the Kings was the final resting place of Ancient Egyptian Pharaoh Ramesses II of the Nineteenth Dynasty. 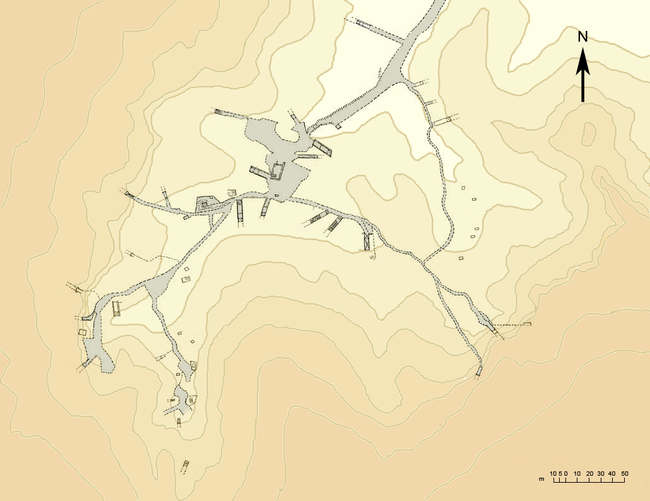 It is located in the main valley, opposite the tomb of his sons, KV5, and near to the tomb of his son and successor, Merenptah, KV8. Unlike other tombs in the area, Tomb KV7 was placed in an unusual location and has been badly damaged by the flash floods that periodically sweep through the valley. Located in the Valley of the Kings, Tomb KV12 is an unusual tomb, used originally in the Eighteenth Dynasty of Ancient Egypt, and then again in the Nineteenth and Twentieth Dynasties. It was probably used for multiple burials of royal family members, rather like KV5. Tomb KV11 is the tomb of Ancient Egyptian Pharaoh Ramesses III. Located in the main valley of the Valley of the Kings, the tomb was originally started by Setnakhte, but abandoned when it broke into the earlier tomb of Amenmesse (KV10). Setnakhte was buried in KV14. The tomb KV11 was restarted and extended and on a different axis for Ramesses III. The area of the Valley of the Kings, in Luxor, Egypt, has been a major area of modern Egyptological exploration for the last two centuries. Before this, the area was a site for tourism in antiquity. This area illustrates the changes in the study of ancient Egypt. Starting as antiquity hunting, and ending as scientific excavation of the whole Theban Necropolis. Despite the exploration and investigation noted below, only eleven of the tombs have actually been completely recorded. Tomb KV1, located in the Valley of the Kings in Egypt, was used for the burial of Pharaoh Ramesses VII of the Twentieth Dynasty. Although it has been open since antiquity, it was only properly investigated and cleared by Edwin Brock in 1984 and 1985. The single corridor tomb itself is located in Luxor's West Bank, and is small in comparison to other tombs of the twentieth dynasty. Tomb KV3, located in Egypt's Valley of the Kings, was intended for the burial of an unidentified son of Pharaoh Ramesses III during the early part of the Twentieth Dynasty. It is similar in design to the "straight axis" tombs typical of this dynasty, and an ostracon written in hieratic script from the time of Ramesses III mentions the founding of a tomb for a royal prince, likely this tomb. The unfinished state of a couple of rooms in the tomb along with scant archeological evidence suggests that the tomb was never used. Some have suggested that it was originally intended for use by the prince regent who would succeed as Ramesses IV, and who started building his own tomb (KV2) soon after he came to the throne. KV4 is a tomb in the Valley of the Kings (Egypt). The tomb was initiated for the burial of Ramesses XI but it is likely that its construction was abandoned and that it was never used for Ramesses's interment. 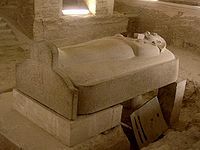 It also seems likely that Pinedjem I intended to usurp this tomb for his own burial, but that he too abandoned the plan. KV4 is notable for being the last royal tomb that was quarried in the Valley and because it has been interpreted as being a workshop used during the official dismantling of the royal necropolis in the early Third Intermediate Period. 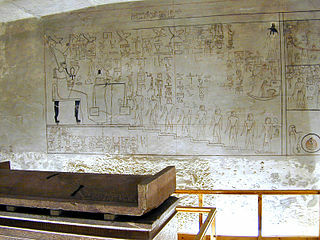 Tomb KV18, located in the Valley of the Kings in Egypt, was intended for the burial of Pharaoh Ramesses X of the Twentieth Dynasty; however, because it was apparently abandoned while still incomplete and since no funerary equipment was ever found there, it is uncertain whether it was actually used for his burial. 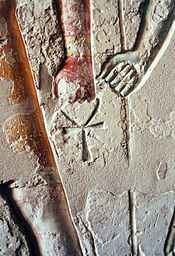 Tomb KV16 is located in the Valley of the Kings in Egypt. It was used for the burial of Pharaoh Ramesses I of the Nineteenth Dynasty. The burial place was discovered by Giovanni Belzoni in October 1817. Tomb KV10, located in the Valley of the Kings near the modern-day Egyptian city of Luxor, was cut and decorated for the burial of Pharaoh Amenmesse of the Nineteenth Dynasty of Ancient Egypt. However, there is no proof that he was actually buried here. Later, the decoration was replaced with scenes for Takhat and Baketwernel—two royal women dating to the late 20th dynasty. Tomb KV13, located in the Valley of the Kings in Egypt, was cut and decorated for the burial of the noble Bay of the Nineteenth Dynasty. An ostraca published in the French Egyptological journal BIFAO in 2000 records that Chancellor Bay was executed by pharaoh Siptah. Consequently, Bay was never buried in his tomb. Moreover, no funerary goods were found in the tomb belonging to Bay. 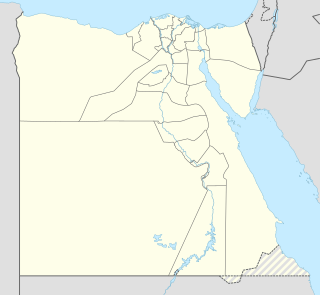 It was later reused by two princes of the Twentieth Dynasty, Mentuherkhepsef, a son of Ramesses III, and his nephew, Amenherkhepshef, a son of Ramesses VI. Tomb KV57 is an ancient Egyptian tomb. Located in the Valley of the Kings in Egypt, it was used for the burial of Horemheb, the last Pharaoh of the Eighteenth dynasty. Tomb KV50 is located in the Valley of the Kings, in Egypt. It contained the burial of a dog mummy and a mummified monkey, and is probably associated with the nearby tomb of Amenhotep II (KV35).